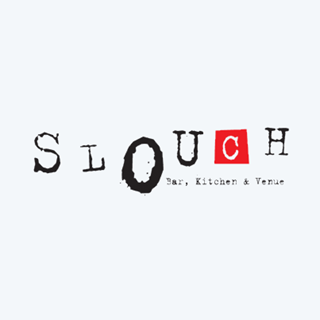 Since opening in 2010, Slouch has become a household name to diners throughout the City. A place you can go to enjoy an award winning burger, a hearty homemade lunch or a late night bite. Just a stone’s throw away from the King’s theatre, Slouch offers the perfect venue for a la carte or pre theatre dining. The market menu changes daily and all produce is sourced locally and freshly made with great value for money. As the winners of SLTN’s ‘Best Late Night Operator’ award in 2013, Slouch is also a place for night hawks to enjoy quality live music, where food is delivered to tables until 2am. The gantry boasts an impressive collection of spirits including forty variations of gin and over thirty rums and bourbons, while the fridges are stocked with a selection of world beers. 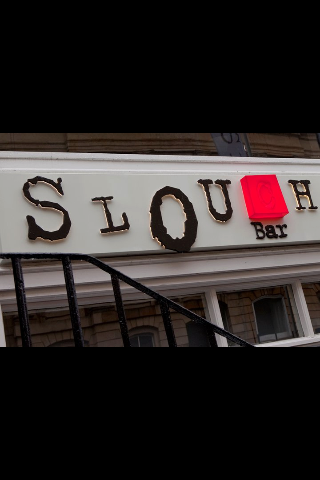 With midweek cocktail promotions, premium spirits and freshly made grub, there is definitely something for everyone at Slouch! Staff were very helpful, great atmosphere and a great relaxed night out! Lovely helpful staff , Food delicious , quick service . Will go back !! The area we booked was excellent. I was a bit disappointed that we felt pressure to explain why both tables weren't filled straight away. and a quick Google search brought us here. Fab food at fab prices, great staff, great atmosphere. Great start to our night! I can't say I've had a bad experience in the 9 years or so this place has been open. Excellent venue with equally brilliant staff. Attended with my work and clients on Friday 15th for dinner and drinks. Staff were very polite and attentive, food excellent and a great choice. Great atmosphere. Will definitely be back. All friends were happy and are likely to come again. We came in last week for food and drinks. Had a fab time and the food was AMAZING!!! Friendly staff and good food. Relaxed atmosphere, was a bit quiet but it was quite early in the afternoon. Music was a bit loud for that time in the evening. Very pleased to see a much friendlier menu for vegetarians and vegans than the last time I looked. I honestly haven't been back for years because the veggie options used to be so poor. I'm glad a friend encouraged me to take another look though. Great place, great food, great service and friendly staff. My partner's lunch was totally inedible. He sent it back and when it came back, it was the same meal but the rice has been flattened down on the plate and the chicken that he had previously cut had been covered in sauce to hide the fact it was the same meal given back to them. The only saving grace was the fact the waiter who cleared our plates away had the sense to only charge us for my sandwich and the chips we had ordered as well. Food was really nice n Very reasonable priced. Staff all very friendly & helpful. Great food and service, very helpful staff. Always a pleasure to be in Slouch. Great atmosphere during the Super Bowl. Friendly staff although food took a little while. Not a problem though as atmosphere was good and drinks kept us going. It was really nice and the portions were just right (we had the burgers and the mac and cheese). The only comment one of my group had was that the vegan burger (the walrus one) was lacking a little bit of flavour. Food, music and service fab as always! Great value for money & friendly service!